This is on oil and gold leaf on canvas, 1907-1908. Österreichische Galerie Belvedere, Vienna, 180 cm × 180 cm. 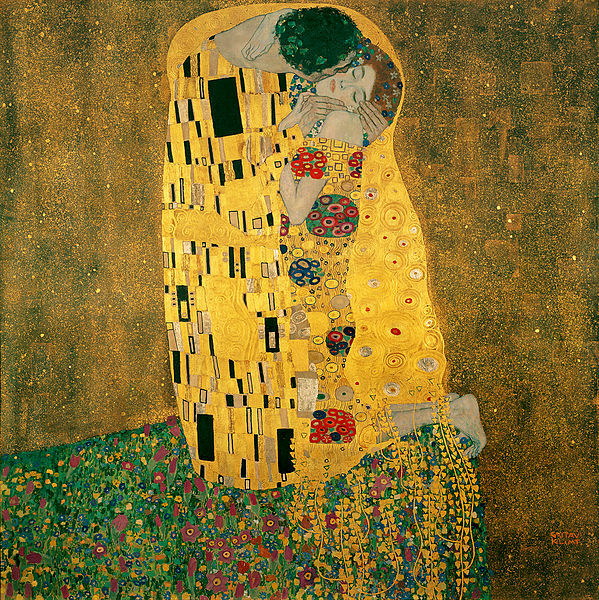 The Kiss (In German: Der Kuss) was painted by the Austrian Symbolist painter Gustav Klimtbetween 1907-08, the highpoint of his ‘Golden Period’, when he painted a number of works in a similar gilded style.